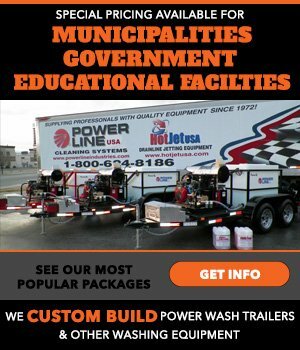 Power Line Power Wash Trailer Equipment Key Advantages - Power Line Industries, Inc.
1. 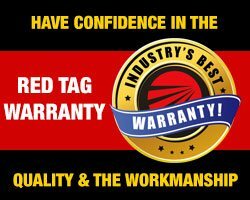 BEST WARRANTY – NO COMPANY COMES CLOSE! 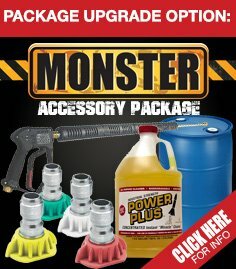 Click here to view our Warranty! We have a National Service Agreement with Briggs & Stratton (Vanguard) and their Dealers for the Vanguard engines and with the Pump Dealers. 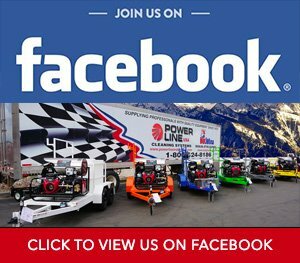 This provides Service Centers nationwide. Vanguard engines are the best motors (made by Toyota)! Our new “Helical” designed heating coil burns the heating fuel (diesel) super efficiently utilizing 50% less fuel than other brands. This can save up to $3,000.00 per year if operated 20 hours per week, and is the “greenest” burner system available. 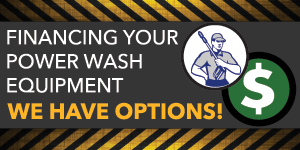 The operator can instantly reduce or increase the pressure depending upon the application – this increases utility – you can clean tile to trucks and it’s an important feature when cleaning sensitive materials like radiators. From cold water to “wet” steam (210° max). We include safety / videos / manuals and safety sign off sheets for Legal and OSHA Compliance. Large pressure and temperature gauges for operators safety and fuel pressure gauge on the burner system. This gives the operator a “visual” on operation. Solid diamond plate 3/8” steel deck – compact design, it’s only 6’ total width so it fits where other trailers won’t – fully painted with premium Sherwin Williams auto paint. Full DOT compliant lighting and brake system. No straps that can rot or break, and provides a higher level of safety, and looks super.